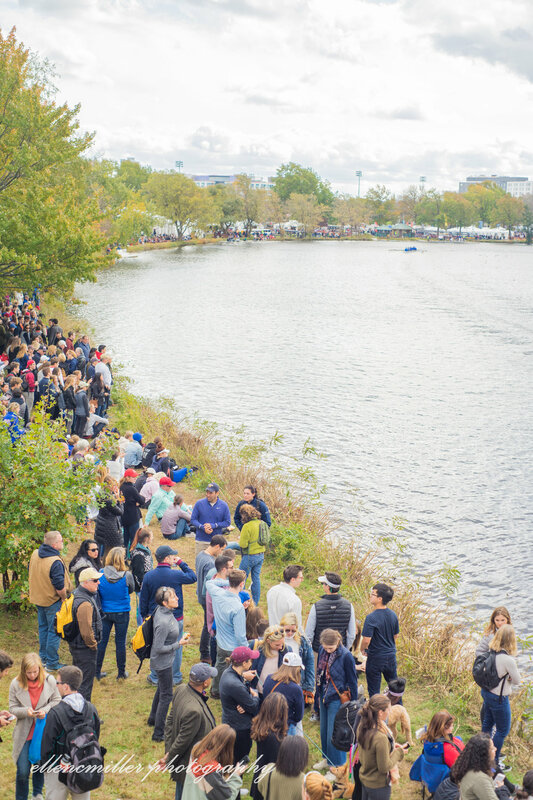 Each October the Charles river (and Boston) is taken over by thousands of rowers and spectators from around the world. 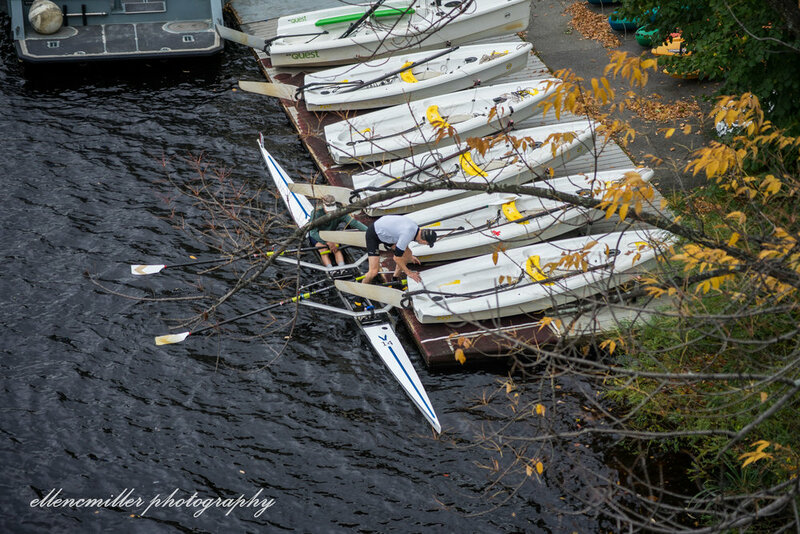 This year for the first time ever I went up to witness the 54th Head of the Charles regatta in person! The very first rower to take on the race course this year was from Quintin Boat Club - in Chiswick, London, UK. This same rower went on to win his event as well. 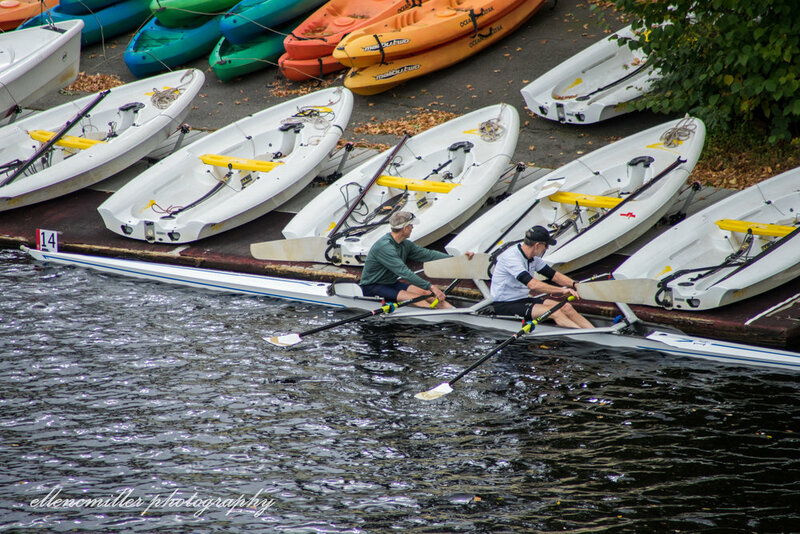 Quintin boat club was the club that I actually rowed out of a handful of times while studying abroad in London during the summer of 2014. So besides the excitement of seeing the first boat to kick off the whole regatta I had a more personal “obligation” to be up and out early to cheer on my British club! 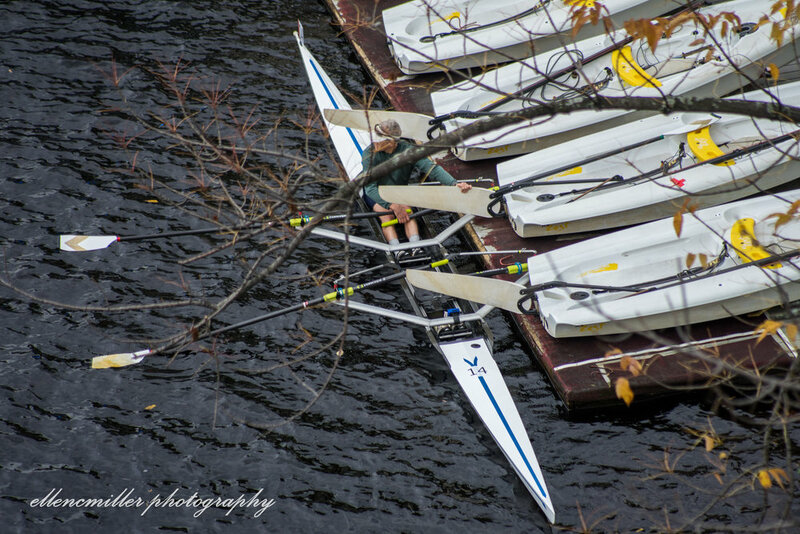 As you might be able to guess, the Head of the Charles (HOCR) is a huge event. 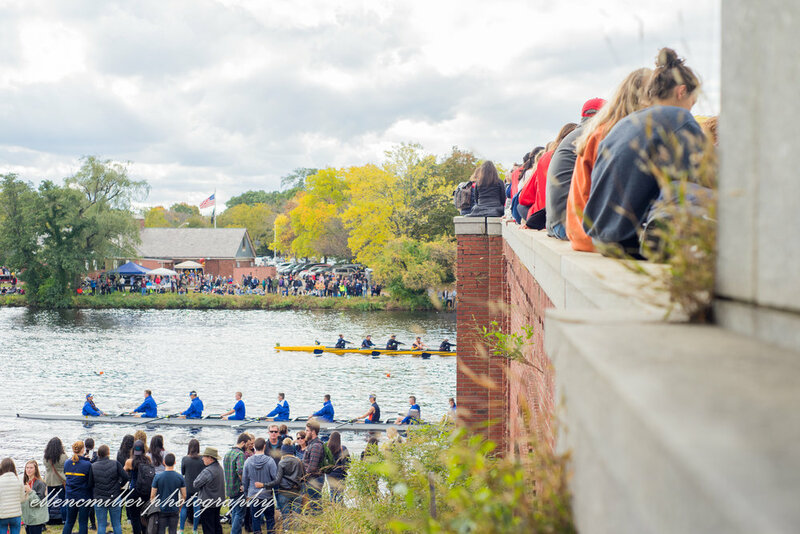 If you only one thing about the regatta it is quite possible the fact that an enormous amount of both rowers and spectators flock to Boston for the weekend, year after year. 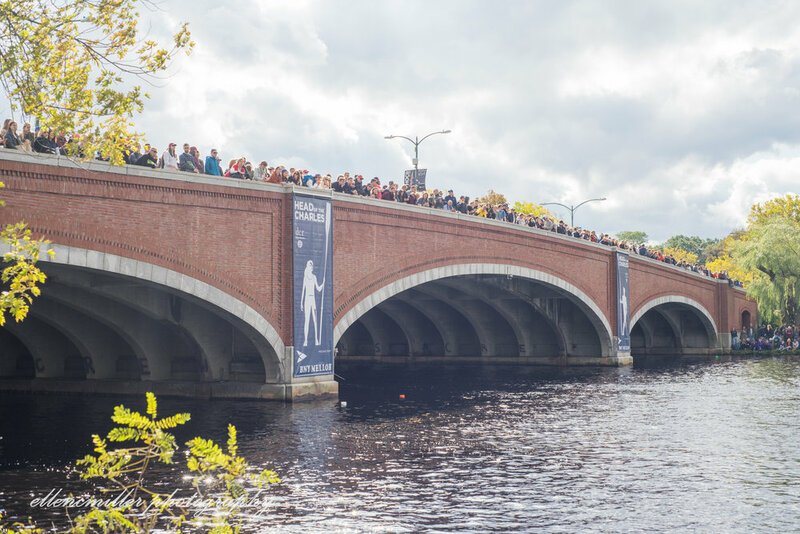 The nice thing about this race course is that there are several bridges lining the 5k race course - which provide spectators great views of the rowers. 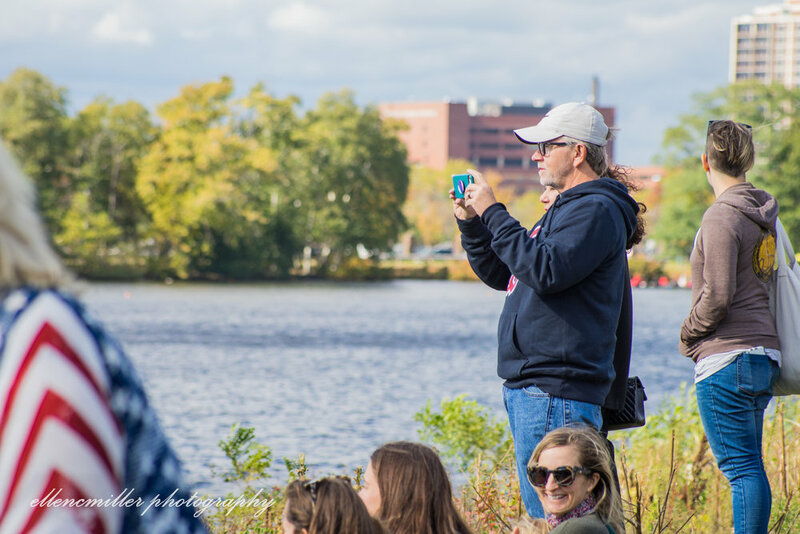 The bridges aren’t the only places filled with crowds of spectators cheering on the boats though. 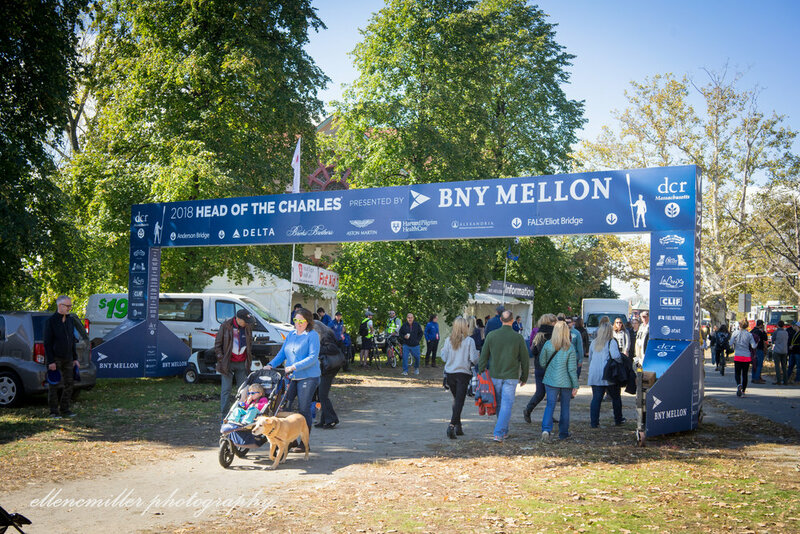 As you walk along the bike trail that goes right alongside the course, you’ll see the river banks filled with rowers, coaches, locals, non-locals, and vendors. 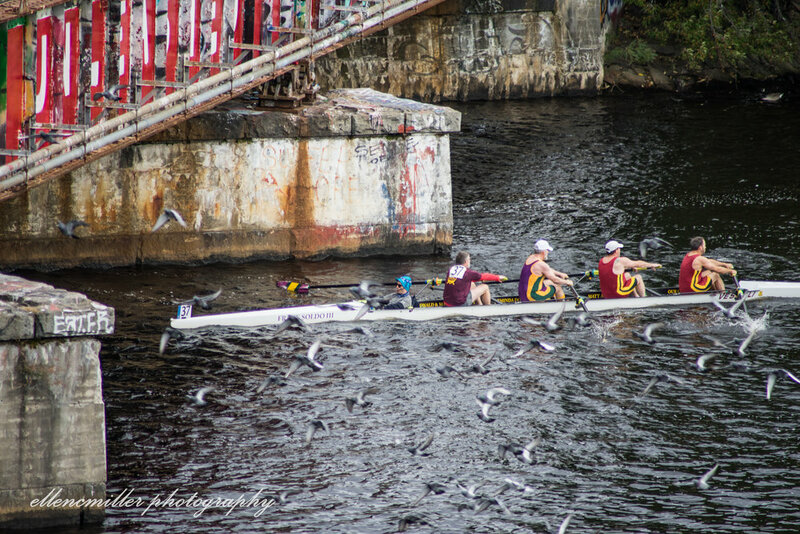 Because of the length of this race and all the bridges there are loads of cool spots to get photos unique to the Charles river! Check out the full day one photo gallery below!